CEOCFO: What led you down the path of an MD and an MBA? Dr. Mark McKenna: Although I was a medical doctor and a fairly experienced entrepreneur, I never had any formal exposure to even basic finance principles. I had to learn most things the hard way i.e. through trial and error. So in 2014 after I sold my last company ShapeMed to a publicly traded company, I thought it made sense to round out my business education. I did an 18-month executive MBA that was predominantly online based – my concentration was entrepreneurship. 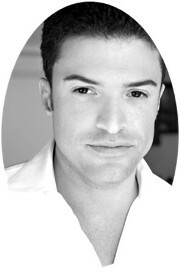 The course work was actually quite difficult but very informative and prepared me well to launch my new venture OVME. CEOCFO: Is being an entrepreneur in your DNA? Dr. Mark McKenna: I always have been an entrepreneur. Transparently, I have never worked for anyone else. I simply cannot imagine that. I believe that entrepreneurs are born - however environmental factors certainly play a part. Both of parents worked for themselves – My father is a surgeon in private practice and my mother owns a publishing company. From a very early age my archetypes entrepreneurs. I consider myself fortunate to have such positive role models. CEOCFO: Would you tell us your range of business interests when Hurricane Katrina struck New Orleans? Dr. Mark McKenna: I was the CEO and founder of McKenna Crescent Investments, Universal Mortgage Lending, and Uptown Title. In essence my early stage real estate investing led me to launch a mortgage company and ultimate acquire a small title firm. We would design/build (residential real estate), originate mortgage financing and close title all-in house. We were a vertically integrated boutique real estate company. At its height the business employed over 55 people. CEOCFO: What came next? How did you handle the emotional side as well as the business side? Dr. Mark McKenna: Katrina was a true gut check. When I evacuated New Orleans with my girlfriend at the time of the storm we thought we were leaving for a long weekend. In reality we never went back – it was never the same. My employees were scattered throughout the country, my cash flow basically went to zero, my properties were devalued and I was underinsured on many of my properties. It was truly a life lesson. In my early twenties one of my mentors once told me that you aren’t a businessman until you lose everything at the time I didn’t understand what he meant because I enjoyed early success as an entrepreneur… now I do. CEOCFO: Would you tell us about OVME, your latest venture? Dr. Mark McKenna: Sure. 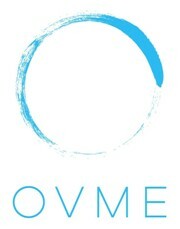 OVME, pronounced “of me," is a retail medical aesthetic company that connects aspiring men and women with skilled health care providers in select cities nationwide. OVME combines an innovative, direct-to-consumer mobile platform with contemporary yet welcoming retail boutiques to deliver high quality minimally invasive cosmetic services. The company launched in July 2017. We were fortunate to raise $4M in seed financing from a local, Atlanta based venture capital firm. CEOCFO: You describe OVME as a consumer facing, technology enabled, medical aesthetic company that is reinventing elective healthcare? How so? Dr. Mark McKenna: Fundamentally my team believes the needs of the medical aesthetics consumer have evolved beyond the industry landscape. We are deconstructing every aspect of the medical aesthetic consumer journey and figuring out how it can be done better. We are doing deep dives into design, branding, U/X, technology, data, and of course minimally invasive products and services that deliver precision results. It will be a completely unique and different experience for the consumer. CEOCFO: What have you learned from past experience, both medical and business, that has helped in creating OVME? Dr. Mark McKenna: I’ve learned that persistence and hard work trump everything. Also, when possible, it always better to measure ten times and cut once – meaning it is better to do the work on the front end so that the path to success becomes more defined. In essence begin with the end in mind - it’s important to think big and plan correctly from the outset. Finally nothing great can be accomplished without a team so it’s critical to identify and cultivate organizational talent. CEOCFO: What is the strategy for the next year or so for OVME? Dr. Mark McKenna: We will be launching the business in Atlanta, GA in Feb 2018 then launching Las Vegas, NV shortly thereafter. We have a fairly detailed five-year growth plan that is supported by very sophisticated capital. We are very fortunate. CEOCFO: Would you tell about community involvement? What is your focus and why? Dr. Mark McKenna: OVME’s approach to charitable giving goes beyond a simple mission statement. It’s part of our DNA. OVME’s philanthropic philosophy is guided by passion and commitment - A passion for wellness and a commitment to healthy communities, families, and children. Accordingly we have entered into a charitable partnership with the Make A Wish Foundation. Personally speaking, outside of the company, I believe giving back is the right thing to do. CEOCFO: What new ideas are you interesting in now-perhaps for new business opportunities? Dr. Mark McKenna: Lol – I am always full of new ideas. I believe there are some interesting opportunities in the crypto currency space. I think the idea of creating brick and mortar crypto to cash or cash to crypto currency exchanges is an interesting one. I believe in the future people will want to easily convert crypto to cash around the world.